And one I’ve broken down for you right here. Go on over and have a read. 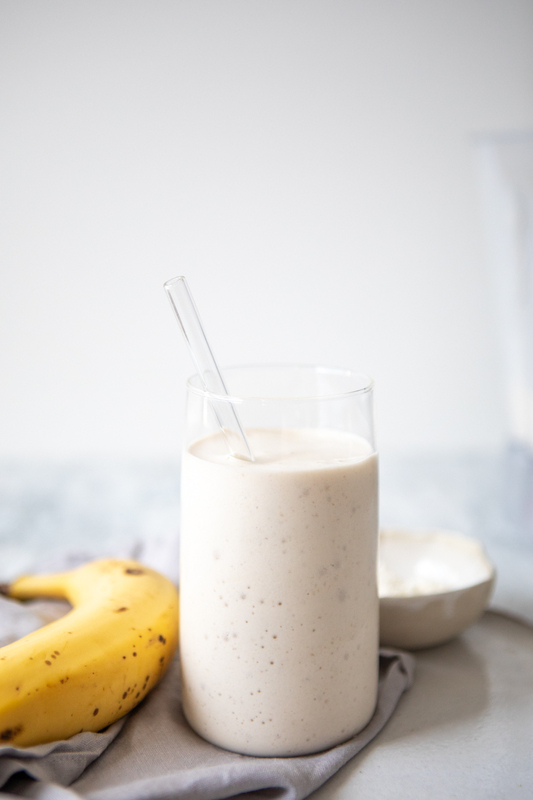 Wondering if you even need a protein smoothie? This is the post for you. There’s even Workout Nutrition 101 to be found. 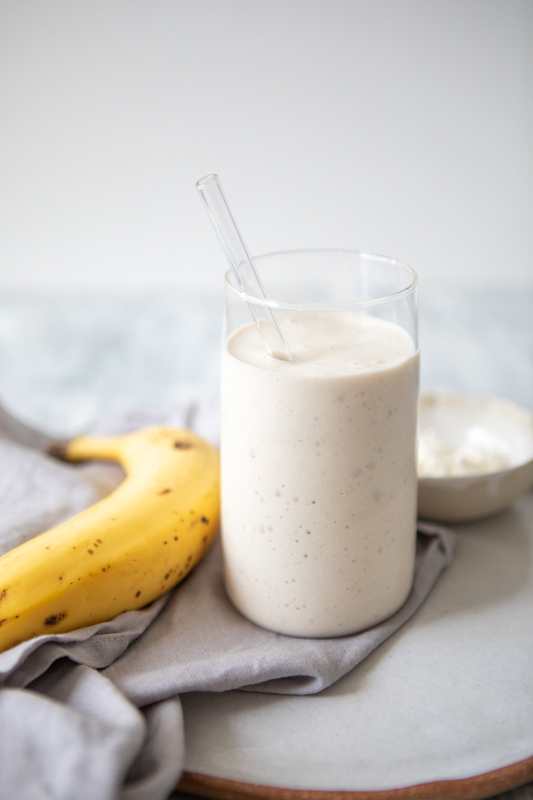 And if you’re in need, come on back for the below 3-ingredient post workout protein smoothie. 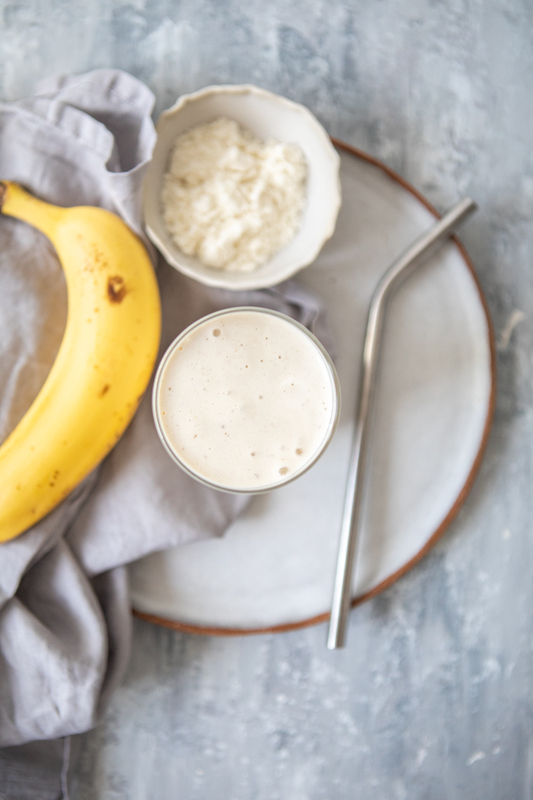 This smoothie is my go-to after resistance training to maximise muscle growth and repair. 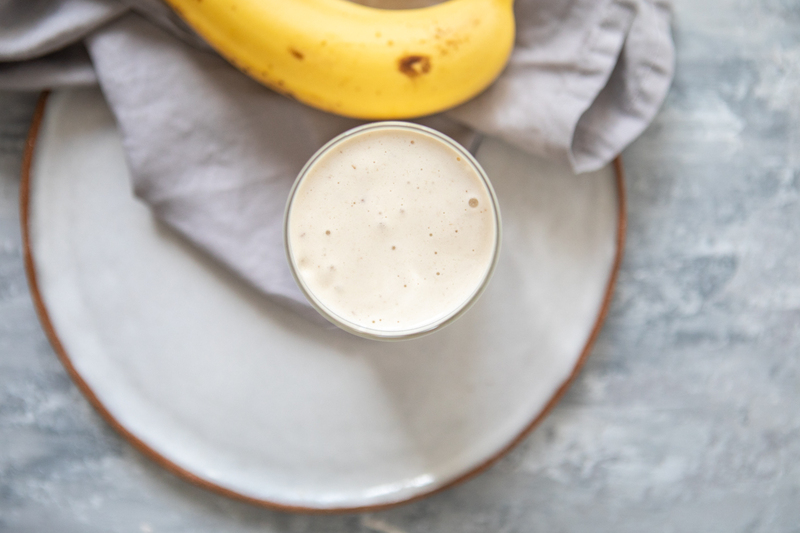 To learn more about the maximal protein synthesis (MPS) effect, head on over to this post because you may not actually need it. In fact, I see a whole heap of people drinking protein smoothies that in their case are simply extra and unnecessary calories. It’s important to assess your individual needs and this post can help you with that. This smoothie has a lot going for it. It’s convenient. It’s fast. It’s delicious. And it utilises optimal protein via the inclusion of whey protein (from cow’s milk). Should you be vegan or lactose intolerant, a quality plant protein powder and plant milk can certainly be utilised. Be sure to look for one with a powder with a brown rice/pea combo so all essential amino acid profiles are included and one that limits the extras. Unfortunately, a lot of the plant proteins on the market include a whole heap of cr** inside. On the milk front, I personally tend to alternate between almond and soy milk in my smoothies though this is considered within the rest of my overall diet and should be considered in your case also. See above notes in the post for protein and milk substitutions. 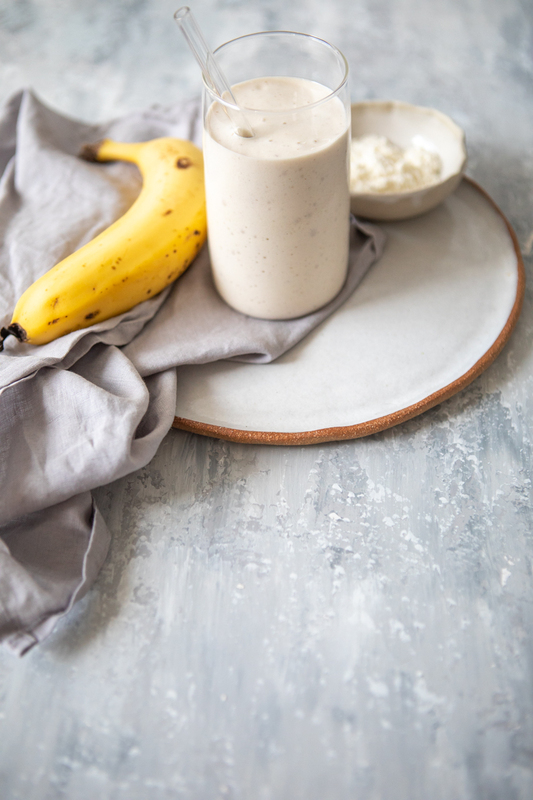 Should you not have frozen banana, you can use fresh and for a creamier and colder texture, add a handful of ice cubes instead. Protein. Before or after a workout?